Those who are excited now about Xperia Z3+ and Z4, hold your breath because we have just listened to some fresh rumors about three new upcoming devices, yes, Xperia Z5 is to arrive soon, and not just Z5 there will be three devices- Sony Xperia Z5, Z5 Compact and the Z5 Ultra. These three devices are being expected to be launched in Japan in September. The Xperia Z5 is being tipped to be powered by a Qualcomm Snapdragon 820 SoC coupled with 4GB of RAM. And just like the recent flagship trend, Sony will implement fingerprint sensor on the Z5 and a massive 4500mAh battery will make the phone last longer. The rear camera on the Xperia Z5 is expected to feature the latest 21MP Sony Exmor RS IMX230 CMOS sensor, which will support 4K video recording and will have HDR capabilities. In April also, similar rumor was on the web that it will have 4GB of RAM on board and that also suggested that all three variants will sport 1440 x 2560 QHD screens, it also stated that the Qualcomm Ultrasonic Sense ID fingerprint scanner will be on board the Z5 Ultra only.That rumor suggested that the Xperia Z5, Xperia Z5 Compact and Z5 Ultra would be completely redesigned and would not sport the OmniBalance design, but right now the last claim seems not to be true. Also, there were some rumors that Xperia Z5 will have USB-C port on board. 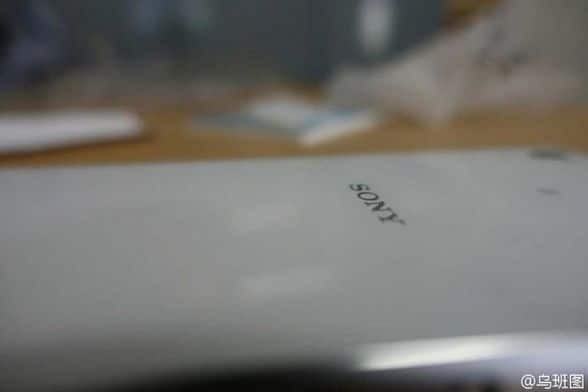 But we have got very limited number of leaks regarding the Xperia Z5, and we have just one picture which has been claimed to be the Xperia Z5. Well, we are not pretty sure about it as there are very limited resources relating to the leak of Xperia Z5, but hopefully when we have seen smoke in the jungle, a wildfire is about to start. For more tech updates, news and leaks, join us on Facebook and get all the updates on the move.